STREB: Forces is part dance, part circus, part stunt show. Elizabeth Streb's company makes a rare Pittsburgh stop. Photo courtesy of Tom Caravaglia. "Mad trajectories": The "Whizzing Gizmo" from STREB: Forces. 8 p.m. Fri., Sept. 28, and 8 p.m. Sat., Sept. 29. Elizabeth Streb is a mad scientist. How else would you describe a woman who devises diabolically dangerous-looking scenarios for her group of "action heroes" (a.k.a. "action engineers"), who dodge swinging cinder blocks, fall flat to the ground from multiple-story heights and run for their lives inside a monster-sized hamster wheel — all in the name of entertainment? In truth, Streb is an award-winning choreographer who has developed a unique movement form she calls "Pop Action." It combines science and human daring with elements of dance, the circus arts and Hollywood stuntwork. After a long absence, Streb and her self-named New York-based company return to Pittsburgh and the Byham Theater Sept. 28 and 29. Their latest "Action" spectacular, STREB: Forces, is the season-opener for the Pittsburgh Dance Council. 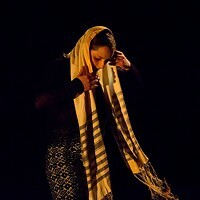 The company is fresh off a stint at London's Cultural Olympiad, part of the festivities surrounding the London Olympics. There, STREB performed action events at seven London landmarks, including the Millennium Bridge and Trafalgar Square. Now, STREB brings to Pittsburgh perhaps its most theatrical multimedia production to date. 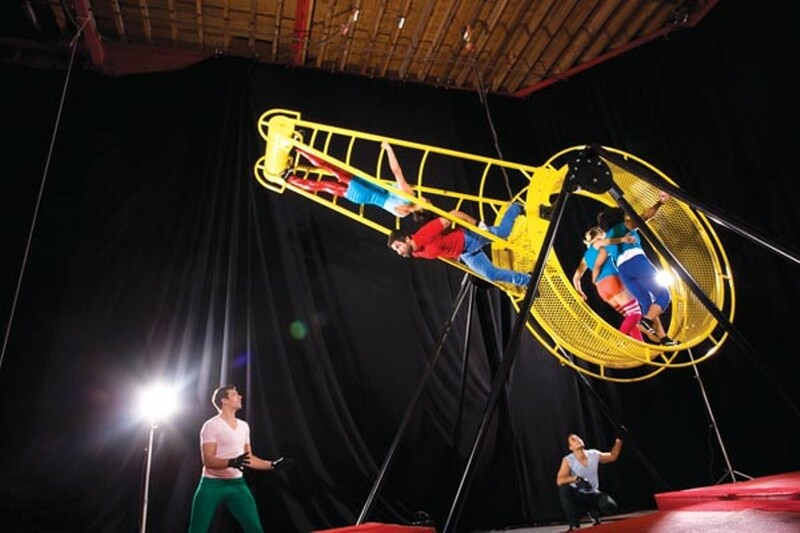 For the all-ages STREB: Forces, the company is trucking in 15 tons of equipment, including machines designed to create artificial gravity and the illusion of flight for the performers. Jam-packed with thrilling works and action events with names like "Crush," "Fall," "Invisible Forces" and "Roboto," STREB: Forces marries the scientific principles of motion with the adrenaline rush of a super coaster ride. Some elements of the show may be similar to past productions. For instance, there's "Spatial Rifts," a revamped version of Streb's popular vertical-wall piece "Run Up Walls," in which performers crash into, climb onto and throw themselves against a transparent wall. This time around, Streb says, the performers will be attached to one another in pairs to create a counterweight system: When one goes down, the other goes up. And much of show is new, including an action event that simulates moonwalking using a 30-feet-by-30-feet frictionless floor. "These things burst into reality from playing around with new pieces of equipment at our Action Lab," says Streb by the phone from New York City, where the Lab is located. "They are the mad trajectories of what brings joy and action to people's lives."